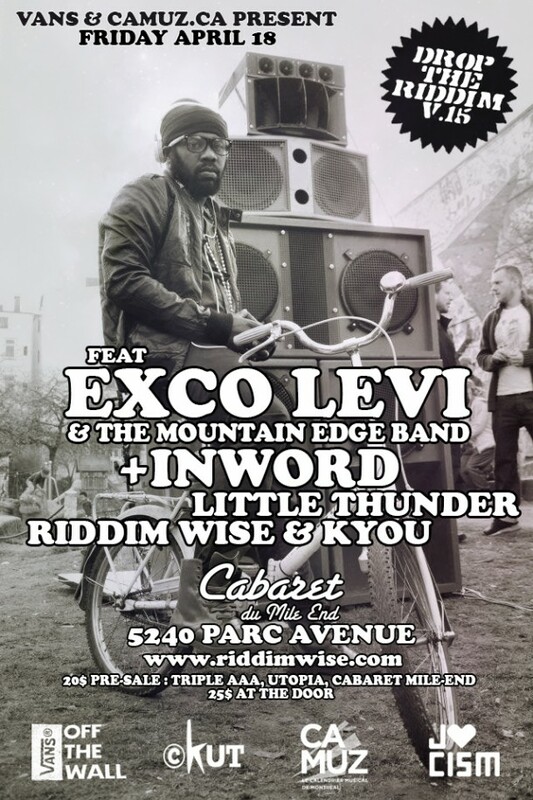 To celebrate the 15th edition of their monthly night “Drop The Riddim”, Riddim Wise and Kyou are proud to present, from Jamaica, reggae singer Exco Levi and his band Mountain Edge. Also performing on stage, Inword, Little Thunder, Riddim Wise & Kyou. Friday April 18 at Le Cabaret Du Mile-End, 5240 Parc Avenue. Sponsored by Vans Off The Wall, co-sponsored by Camuz.ca.